After the super-successful launch of the Star Wars “Sequel Trilogy” via 2015’s The Force Awakens, the saga continues via 2017’s The Last Jedi. 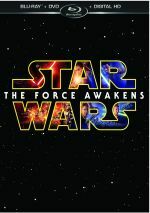 At the prior film’s conclusion, Rey (Daisy Ridley) finds Luke Skywalker (Mark Hamill) in a remote location. 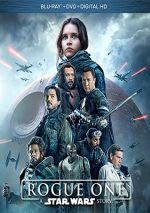 Luke’s sister Leia (Carrie Fisher) leads the Resistance’s battle against the nefarious First Order, and Rey hopes to convince Luke to help. Haunted by his past, however, Luke prefers to stay hidden, though he does eventually agree to educate Force-powerful Rey in the ways of the Jedi. In the meantime, Leia and the rest fight the First Order, a task made more difficult when they learn their foes maintain a technology that lets them follow crafts through hyperspace. 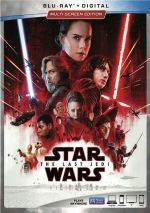 Aided by mechanic Rose Tico (Kelly Marie Tran), Finn (John Boyega) goes on a mission to find a way to infiltrate the First Order’s lead ship and prevent this tracking, all while the Resistance fleet attempts to stay alive and escape. Sometimes after I see a movie theatrically, I write my review when I get home. This works well 99 percent of the time, as I rarely change my opinion about the film when I view it a second time. Jedi falls into that one percent, which makes me happy I didn't compose my review back in December 2017. I avoided this task consciously because I thought I would feel differently about the film when I gave it another shot. As I've noted in other Star Wars reviews, I enter these films with tremendously high expectations, so it doesn't come as a surprise that I might need a second screening to get some perspective. Sure, I loved Force Awakens from the get-go, but that was an exception, so my less-than-enthusiastic initial view of Jedi - or 2016's Rogue One - didn't shock me. Still, I did feel enough disenchantment with my initial viewing of Jedi that I feared I'd never really take to it. In particular, the movie's irreverence bothered me, as I felt it tossed out too much goofy humor at inappropriate times. Take the opening scene, for instance. Resistance fighter Poe Dameron (Oscar Isaac) approaches a First Order vessel commanded by General Hux (Domhnall Gleeson), and the dialogue goes down a fairly silly path with lingo that seems way more “2017” than it probably should. Do I expect a Star Wars movie to provide a tale of operatic seriousness with no lightness? No, and I recognize that all the films came with goofy moments – at least Jedi avoids the fart jokes that popped up in some prior entries. This opening scene just goes a little too far. Because it’s subtle, I like that Poe calls the General “Hugs”, but between the modern dialogue and Gleeson’s campy performance, the sequence launches the film in a somewhat off-putting manner, and a few too many similar segments follow. Those elements bothered me more when I saw the film initially, and back then, I overstated how often they occur. On subsequent screenings, I still don’t feel wild about them, but I recognize they don’t dominate the film as much as I thought, and Jedi otherwise does a lot more right than wrong. That becomes true almost immediately, as once we get past the dopey Hux/Poe interaction, Jedi provides a dynamic battle sequence that stands among the series’ best. Indeed, it seems almost remarkable that the film goes for such a “big” battle right off the bat, as the opening feels nearly climactic. Happily, Jedi provides plenty more action as it progresses, and it throws in the needed character development as well. Since Force Awakens tended to follow a path not dissimilar to that of the original Star Wars, some feared Jedi would bring a semi-remake of Empire Strikes Back. If you want to draw parallels between Jedi and Empire, you can easily do so – and a few sequences reminded me a lot of Return of the Jedi as well. Both Empire and Last Jedi offer darker tales compared to their predecessors, and they also spend a lot of time with the Force training from a character who hides from the universe. In addition, both show the rebels as they attempt to flee their enemies and regroup, all while personal connections manifest between seemingly unconnected main characters. I think the “remake” accusations aimed at Awakens were overblown, but I do admit Jedi manages to become more of its “own film”, even with the similarities I mention. It maintains a firm place in the Star Wars universe but throws out enough curveballs to give it a different feel. These left-turns could flop, as they threaten to feel like they exist just to subvert expectations and nothing more. I suspect some fans do feel that way, as there’s more than a little sentiment that writer/director Rian Johnson toyed with “the formula” in a gratuitous manner. Jedi goes for less of a “black and white” feel than usual. Granted, some could argue that the series’ basic “good vs. evil” tone and its semi-absolute view of these sides acts as part of its enduring appeal and charm. I would agree to some degree, as we don’t go to Star Wars for a tale of ethical inconsistency – a David Fincher directed Star Wars probably wouldn’t work. Jedi does throw unexpected twists our way, choices I won’t detail because they might turn into actual spoilers. Just know that plot/character trends that usually would go don’t necessarily work out that way here, and I think the film benefits from these deviations from the Star Wars norm, especially in the emotional depth they add. The film comes with more than a few moments that genuinely resonate, and the entire tale comes with a strong sense of heft. Even though some of Johnson’s comedic tidbits occasionally threaten to harpoon the drama, the end result delivers a powerful tale. Will Jedi ever be my favorite Star Wars film? Unquestionably no – heck, I doubt I’ll ever enjoy it as much as Force Awakens, much less the Original Trilogy. Nonetheless, it overcomes a few minor misfires to bring us a strong continuation of the series that packs a good punch and makes me eager for Episode IX. 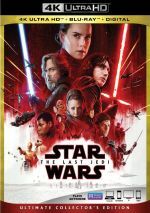 Star Wars: The Last Jedi appears in an aspect ratio of approximately 2.39:1 on this Blu-ray Disc. Overall, this became a strong image. My only complaints related to a handful of interiors, as a few of those seemed oddly soft. Nonetheless, general definition seemed solid, with a presentation that usually appeared accurate and concise. I saw no shimmering or jaggies, and the movie lacked edge haloes. Of course, the image failed to display print flaws. The palette of Jedi tended toward the usual orange and teal, though not to an obnoxious degree. Those hues dominated but a mix of other colors popped up as well, and the disc reproduced them nicely. Blacks came across as dark and dense, while shadows offered fairly good clarity, though they could seem slightly thick at times. While this wasn’t a killer presentation, it seemed more than satisfactory. Star Wars movies always boast excellent audio, and Jedi continued that tradition via its involving DTS-HD MA 7.1 soundtrack. We got an engaging affair, and the soundscape’s emphasis on action used all the channels on a frequent basis. The various speakers provided lots of information that filled out the movie and blended together in a seamless manner. This formed a dynamic soundfield with a lot to offer. In addition, audio quality seemed strong. Music was bold and full, and even with a lot of looped lines, dialogue remained crisp and natural. Effects appeared rich and vivid, with clear highs and deep lows. I felt pleased with this impressive soundtrack. As we head to extras, we find an audio commentary from writer/director Rian Johnson. He brings us a running, screen-specific look at story/character areas, cast and performances, connections to other films, various effects, sets and locations, music, costumes, editing and deleted scenes, and connected topics. In other words, Johnson touches on pretty much every topic you could hope, as he delivers a terrific commentary. He even digs into little "Easter eggs" during this engaging and informative chat. On a second disc, we find a documentary called The Director and The Jedi. It fills one hour, 35 minutes, 23 seconds and offers info from Johnson, producer Ram Bergman, director of photography Steve Yedlin, Lucasfilm president Kathleen Kennedy, 1st AD/associate producer Jamie Christopher, unit production manager Tom Karnowski, creature and special make-up effects creative supervisor Neal Scanlan, production designer Rick Heinrichs, supervising art director Christopher Lowe, special effects supervisor Chris Courbould, crowd 2nd AD Jane Ryan, stunt coordinator Rob Inch, hair/makeup designer Peter Swords King, and actors Mark Hamill, Carrie Fisher, Laura Dern, Daisy Ridley, Frank Oz, and John Boyega. This means we learn a lot about the film’s creation, and the ample footage from the production adds a lot to it as well. I love this sort of “behind the scenes” material and find plenty to enjoy here, such as a charming interaction between Hamill and a creature-costumed actor who accidentally bumps into him. In addition, the sight of Hamill and Fisher as they shoot a scene together seems likely to inspire tears among those of us with a lifelong attachment to the franchise. “Director” might benefit from a more concise “A to Z” orientation, as it skips around a little more than I’d like. Still, that’s a minor quibble, as the documentary works very well as a whole. 14 Deleted Scenes take up a total of 23 minutes, two seconds. Some don’t work – like a painful, interminably long version of the “Fathier Chase“ – but a lot seem surprisingly good. I like the “Alternate Opening”, and a sequence in which Luke challenges Rey to not save the day offers intrigue. Most of the clips could’ve worked in the final film, so they’re fun to see. We can view the scenes with or without commentary from Johnson. He gives us basic notes about the sequences as well as why he omitted them. Once again, he proves to be engaging and informative. We also can check out a 49-second intro from Johnson. He doesn’t add much in this quick clip but it’s a painless affair. A featurette entitled Balance of the Force goes for 10 minutes, 17 seconds. It includes notes from Johnson, Ridley, and actor Adam Driver. As implied by the title, “Balance” looks at the film’s depiction of the Force and some production details. It becomes a pretty insightful overview. Three Scene Breakdowns follow: “Lighting the Spark” (14:23), “Snoke and Mirrors” (5:40) and “Showdown on Crait” (12:56). Across these, we hear from Johnson, Yedlin, Fisher, Corbould, Bergman, Heinrichs, Dern, Lucasfilm VPs Janet Lewin, Candice Campos and Jason McGatlin, supervising sound editor Ren Klyce, design supervisor Kevin Jenkins, assistant sound editor Coya Elliott, animation supervisors Michael Beaulieu and Stephen Aplin, concept artist James Klyne, visual effects supervisors Mike Mulholland, Dan Seddon and Ben Morris, computer graphics supervisor Andrew Booth, sound effects editor Bonnie Wild, visual effects producers Danielle Legovich and Daniel Booty, supervising sound editor Matthew Wood, senior modeler Benjamin Flynn, and actors Kelly Marie Tran, Andy Serkis and Oscar Isaac. As expected, these featurettes offer details about the creation of various scenes, so they dig into a mix of elements. All prove to be insightful and informative. Andy Serkis Live! takes up five minutes, 49 seconds and features an intro from Johnson. He leads us into raw footage of Serkis’s performance as Snoke on the set pre-animation. This turns into an enjoyable look at the original footage. A continuation of the new trilogy, Star Wars: The Last Jedi offers a largely satisfying adventure. It doesn’t bring quite the impact of Force Awakens, but it still advances the overall narrative in a rich, exciting manner. The Blu-ray boasts very good picture as well as excellent audio and short but informative collection of supplements. Bring on Episode IX!